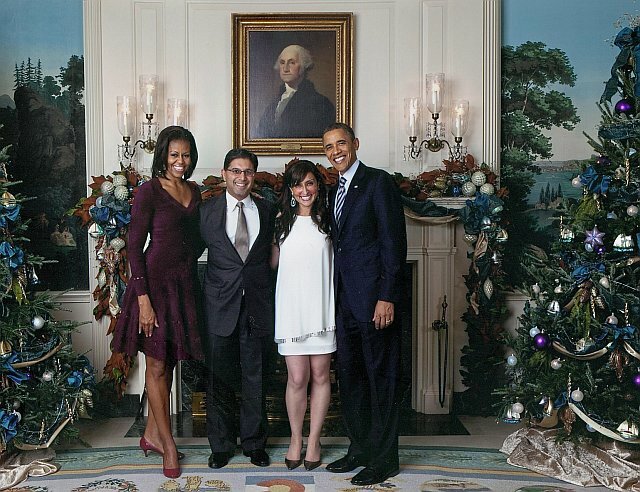 hefali Razdan Duggal is a member of President Barack Obama’s Presidential Partners, the National Finance Committee (NFC) for President Barack Obama’s 2012 reelection campaign and the Northern California Finance Committee for the President’s 2012 reelection campaign. Shefali is also a member of the Democratic National Committee Asian American Leadership Council and the DNC National Steering Committee. She is also a member of the Democratic Congressional Campaign Committee (DCCC) Chairman’s Council and a member of the Majority Council of Emily’s List, an organization dedicated to electing Democratic women to all levels of government. Shefali is a committee member of Human Rights Watch, California Committee North. 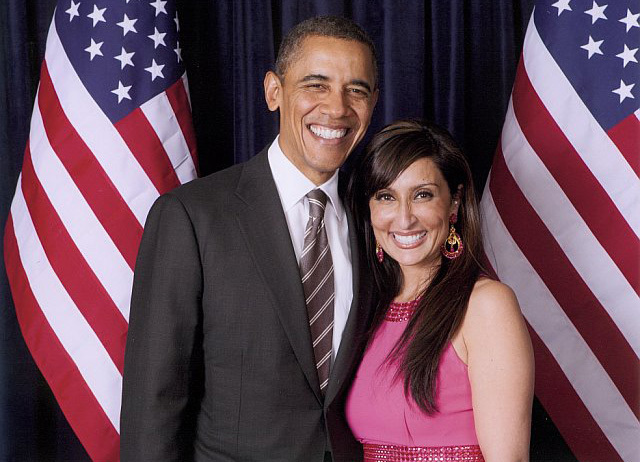 Previously, Shefali was active in Senator Barack Obama’s Presidential campaign where she was a Trustee for the DNC South Asian American Leadership Council. There she focused on South Asian and Young Professional outreach, co-hosting a number of fundraising events for both the Senator and his surrogates. 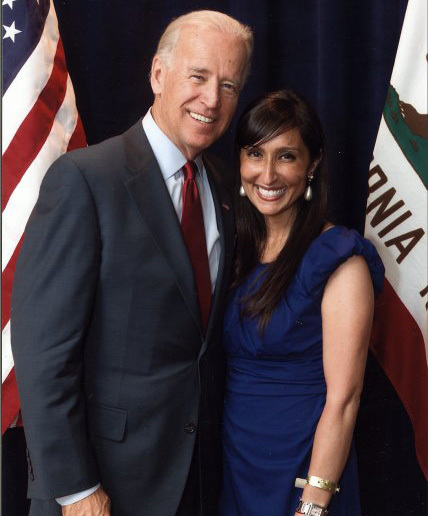 She previously worked with Senator Hillary Clinton’s Presidential campaign where she was a member of the campaign’s Northern California Steering Committee and the Women for Hillary Committee. Shefali was also recently on the Finance Committee for the Kamala Harris for California Attorney General Campaign and is currently a member of her Transition Team. In addition, she was Executive Director of Indus Women Leaders, a national South Asian women’s organization, and is a graduate of Emerge, a political leadership training program for Democratic women. 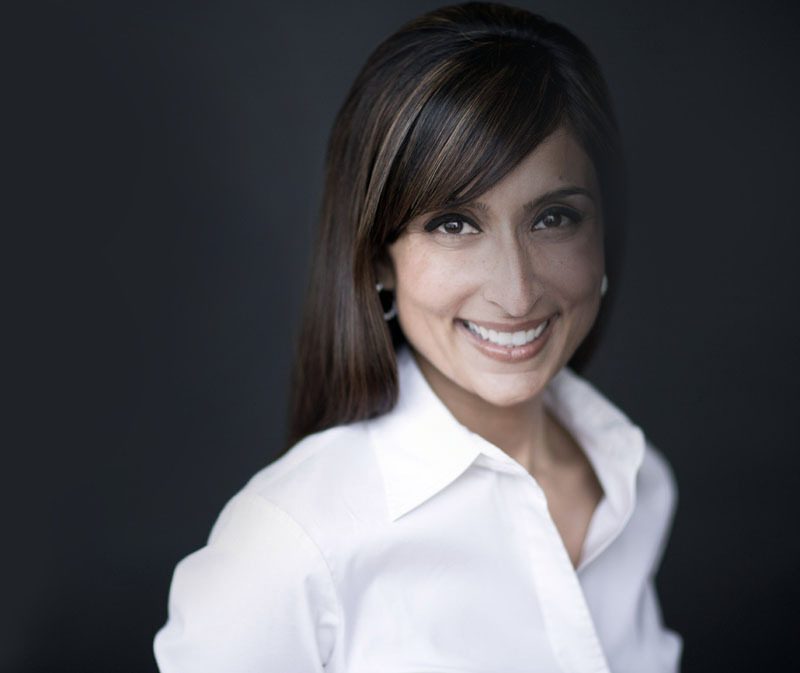 Shefali was also a Board Member of the Indian American Leadership Initiative, an organization focused on promoting South Asian political participation. 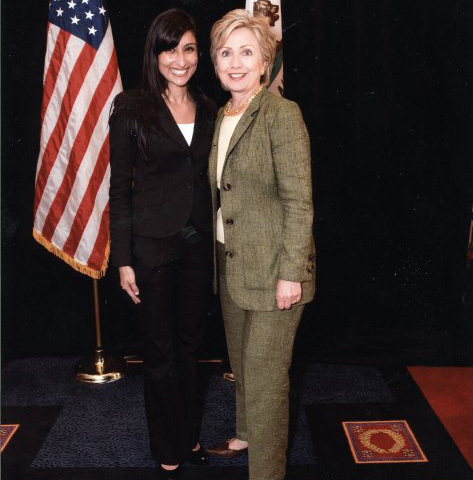 Earlier in her career, Shefali worked as a Political Analyst at Staton Hughes, a political strategy firm, and also worked for the MA Democratic Party, NH Democratic party, and Senators Ted Kennedy and Dianne Feinstein. Shefali was born in India and has lived in Cincinnati, Chicago, New York and Boston. She received an M.A.in Political Communication from New York University and a B.S. in Mass Communication from Miami University of Ohio. You made it to the prestigious list of the 'most powerful and influential women' of California. Congratulations! How does it feel? Thank you so much! I am profoundly grateful, humbled and honored that the National Diversity Council considered my nomination. I am amongst an abundant number of extremely talented and bright women, and feel very fortunate to be within their company for this award. The organization is very inspirational, as its multi-faceted purpose is to promote various dimensions of an inclusive and diverse multicultural environment. You have done amazing job in inspiring others to become politically involved. Can you provide some suggestions on what youth should do to engage in political area. I truly appreciate your very kind words. I have attempted, to the best of my ability, to remain grateful, authentic, positive and consistent in my outlook and behavior, all while striving towards continually improving/bettering my heart, mind, soul and perspective. If that has served a greater purpose of inspiring others to get further involved within our political process...then I am very happy! Each person, irrespective of the varying factors which distinguish us from one another (including age), can make a substantial difference within their communities, and within the great fabric of the United States. Each person has a unique skill set from which the political system can greatly benefit. From knocking on doors, hosting an event, being a policy expert on a topic which holds a special place in your heart - - it is all important. The first step is to know that your involvement is both important and appreciated, and then to move forward and implement your wonderful skill set within a campaign, organization or an elected’s office! You met Mr. Obama several times over last couple of years. How does it feel to meet and know most powerful person in the world? The President is an incredibly humble, gracious and genuine person. I feel very grateful to have the privilege to be a small part of his campaign and larger efforts. It is surreal to have met President Barack Obama, although I will say - - he knows a lot of people! When I consider our President, I am moved to know that he is a true inspiration for our and all future generations, in both his vision and historical relevance. How and Why you got involved in Human Rights Watch? Do you any suggestions on what we Kashmiri Pandits can do to raise awareness on human rights issues due to our forced exodus from Kashmir? I learned of Human Rights Watch some years ago when I was invited to attend the annual dinner. I was unaware of the organization, and after experiencing the power and breadth of Human Rights Watch’s work, I felt compelled to get involved. HRW attempts to make effective and long-lasting change in challenged countries. HRW implements and utilizes researchers around the globe (often in regions of conflict), then objectively verifies the validity of the information/research obtained and ultimately reports it to the international press. Any challenged community would greatly benefit from having reputable, international press communicate their injustice and plight to the greater world community. We are all proud of your Kashmiri roots. What you remember of Kashmir and when was the last time you visited Kashmir. I too am very proud of my Kashmiri roots, carrying the Razdan name with a badge of honor! My parents are both from Srinagar, with most of my family still firmly ingrained within the Kashmiri culture, both here and in India. 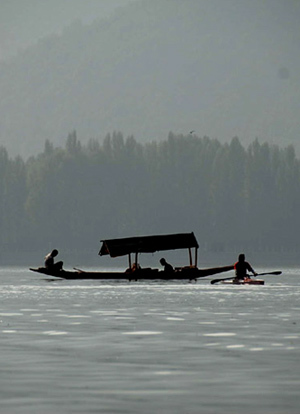 I joyfully recall Kashmir, as we used to travel there during the summers when I was a child to see my extended family. The last time that I visited Kashmir was in the early 1990s, just before my family made the exodus out of Srinagar (to various parts of India). I vividly recall the house boats on Dal Lake and particularly the beauty of Nishat Bagh (close to both of my parents ancestral homes), seeing Pahalgam, Gulmarg, Hari Prabat, amongst so many others. I look forward to taking my children there, to let them see what beauty from which they have been born. Although, personally I don’t have to look too far to be reminded of my Kashmiri heritage - - I look in the mirror and see the classic KP nose peering back at me! I am impressed that even after such high achievements, Shefali has remained aware of her roots. Best wishes to her. It is impressive to achieve at a young age. I am proud of my community.